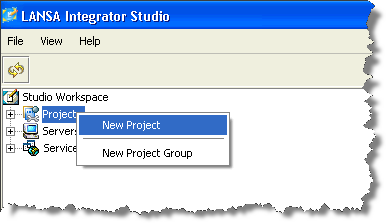 In this step you will use Integrator Studio to define a new project iii Training. 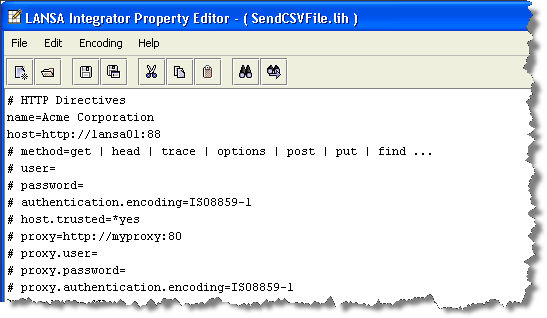 You will define a SendCSVFile user agent solution within this project and define the Host Properties required by this User Agent solution. 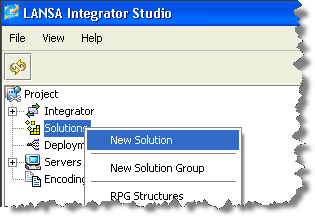 1.Click on the Integrator Studio ( ) shortcut in the LANSA folder on your desktop. 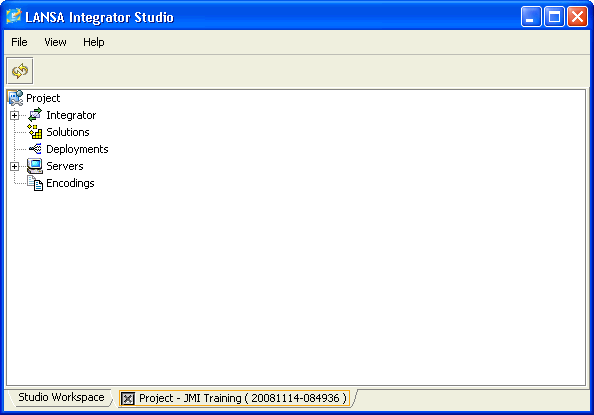 Alternatively open Integrator Studio from the Tools ribbon in Visual LANSA. Once it has opened, right click on Project, select New Project. 2. Create a project called iii Training, where iii is your unique three letters. 5. Select User Agent from the Tool dropdown. 6. 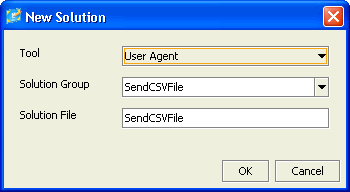 Define a Solution Group and Solution File called SendCSVFile and then select Yes in the Confirm dialog. 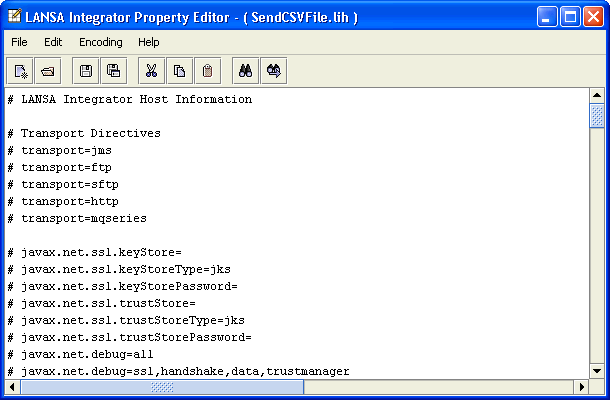 You are now going to create the Host Information file (.lih) which the User Agent will use. 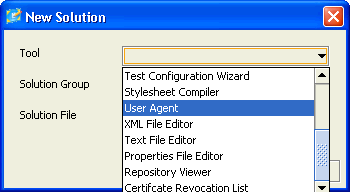 This is a configuration file which provides the parameters required by the User Agent. The User Agent will perform the upload (in this case a CSV file) based on the configuration parameters. 9. Change the line "name=Acme Corporation" to "name=iii CSV Service". Note: Check your Windows Internet Information Services Manager (IIS) configuration. You may find that the Integrator install has create a web server instance using a different port number. e.g. http://localhost:8080. 11. If your web server uses authentication, you would also enter user and password details. 12.If your web server uses a proxy, you would enter these details, including authentication details if required. 14.Again, use Find to locate the lines containing URI (Uniform Resource Identifier). 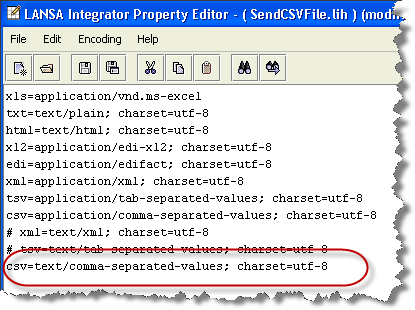 This information will tell the User Agent that source files of type .CSV should be handled by the server program iiiFN03, which you will create in a later step. You will define the service entry for function iiiFN03 in Step 4. 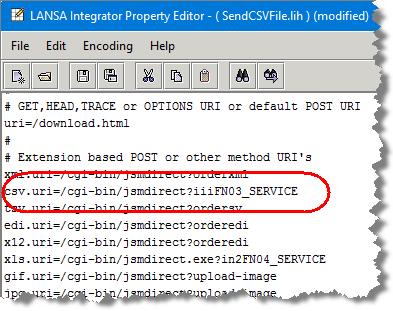 JSMDirect Service Configuration. 15.Save your changes and select Yes in the Confirm dialog.